Hunting has always remained one of the favorite hobbies of Human Beings. They have always enjoyed it as a leisure time activity. The weekends are especially spent in trekking and hunting across the mountainous areas in most parts of the world. Most of us often had seen guys doing such activities on weekends. They use various tools and equipment at different times. 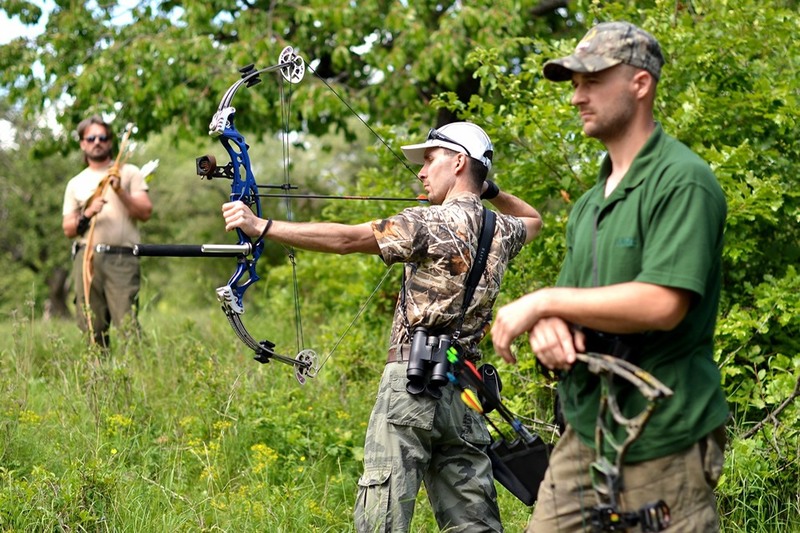 AW Pro Compound Right Bow is also one of such tools that are being used for this purpose nowadays. This archery bow is recommended only for the right-hand users. The AW Pro can draw a weight of about 20-70 lbs while its draw length ranges between 17-28 inches. Here, it is important to mention that you can also adjust the draw length of this archery bow with the help of wrenches packed with it. This easy adjustment of the draw length makes it an ideal hunting tool for people of different ages. 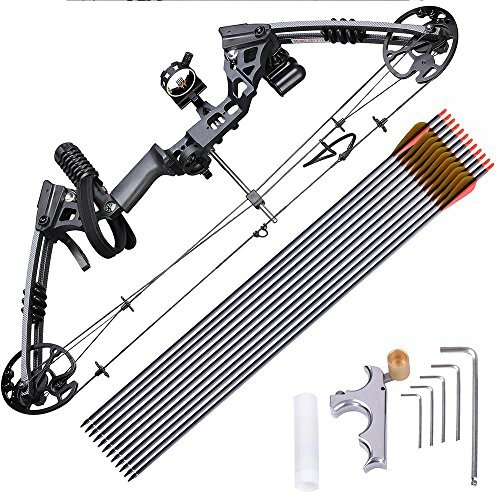 This compound archery bow comes all assembled. 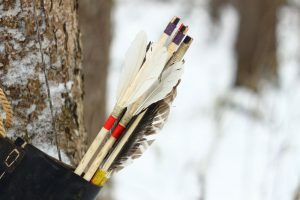 You have to adjust the arrow rest, sight, and quiver only. This compound bow is noiseless because of its stainless steel cable guard, string silencer and peek hole. Rest of the body is made of rugged aluminum. The build quality, packaging, and assembling are quite easy and simple. 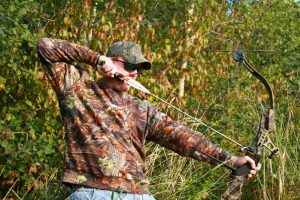 This is why this compound bow is recommended for amateur hunters. 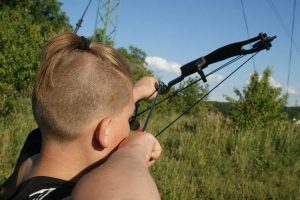 In other words, we can say that this compound archery bow is helpful to teach the entrants the second lesson of hunting. This archery bow comes loaded with a lot of unique and interesting features. Following are some of these. The very first and the foremost feature of this compound bow are its portability and durability. It is made of a rugged aluminum body with the strings made of stainless steel. The weight of this compound bow is only 3.6 pounds which makes it easy to carry this for a whole day for hunting. But, always keep in mind that attaching accessories will make it heavier and more accurate on its target. It is also compact enough that the user can easily pack it along with other accessories for hunting. Another feature of this compound archery bow is its easily adjustable draw length. The user can adjust this length between 17-28 inches. This makes it suitable for hunters of different age groups. Its dual cam system helps it to draw smoothly, and this smoothness results in accurate shooting. 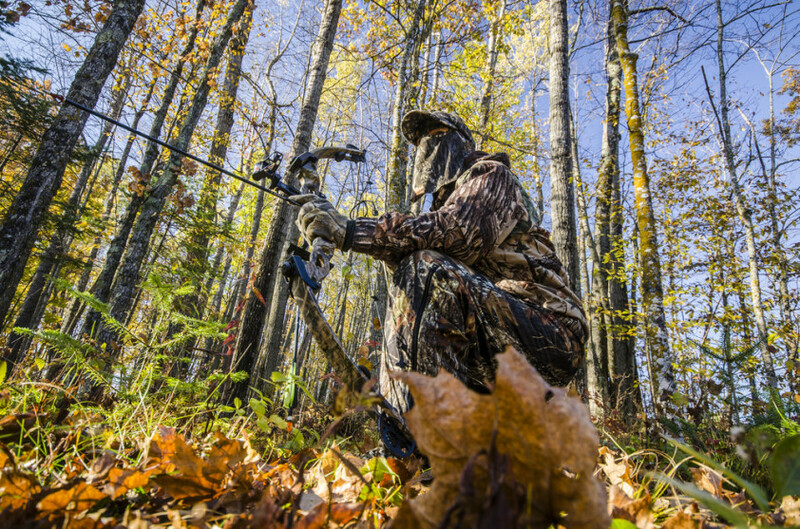 The draw cycle of this compound bow can capture the prey within 15 to 30 yards. This compound archery bow is also a perfect hunting tool because of its noiselessness. There is a stabilizer in it which draws out all the vibrations created by strings and makes it noiseless. Moreover, the string dampeners and parallel limb designing also make it a silence hunting tool. This ultra silence helps you to capture the prey easily because its silence even does not disturb animals. Although the manufacturer has tried to touch the peaks of perfection, yet the compound kit has a lot of cons. Following are some of its pros and cons. The draw weight and length of this bow kit are easily adjustable. Being made of rugged aluminum and stainless steel, it is a lot durable. The cable guard is also made of stainless steel which gives a high degree of security. It is a lot accurate because of peephole and string silencer. There are dampeners installed in parallel to its limbs which reduces the chances of injury or hand shock. There are a lot of accessories with this compound kit that you may need while hunting. The shooting speed of the compound bow is 360 FPS which is a lot greater than other compound bows. The build quality of this compound bow is very high but is quite affordable. The accessories available with the package are not of high quality. 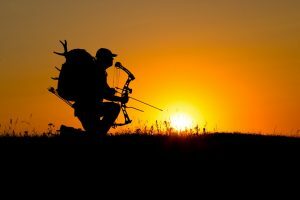 Like all other top quality compound bows, it comes with fully packed accessories a hunter may need while hunting. 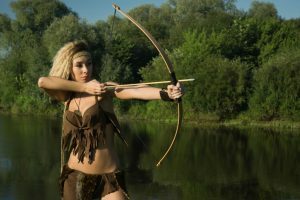 There is not only a bow, but also a bow sight, 12 arrows, a stabilizer, and a quiver. A minute look at the package reveals that following accessories are included in the box. The limb dampeners are also included in the box. These decrease the vibrations produced by the strings and thus help in minimizing the sound of shooting. There is also a handheld release in the kit also. This handheld release proves more beneficial if used with a wrist sling. There are many such people as are complaining that the kit has no warranty papers. If this is so, it is a great setback for the people who intend to buy this archery kit for their use. This is because almost all the manufacturers offer some warranty on their products for ultimate satisfaction of their customers. 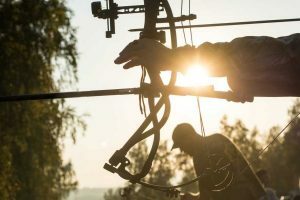 After reading the entire article, we conclude that AW Pro Right Hand Compound Bow is one of the top-rated bows for hunting. The build quality and lightweight are some of those features that make it an ideal tool for hunting. The adjustable draw length is another plus point of this compound bow. This also makes it an ideal bow for people with different age groups. It also helps in accurate prey hunting because of its silencing features. The package is also fully loaded with all accessories that the hunter may need while hunting. The price tag of this compound bow shows that it can be easily afforded. It is an ideal compound bow for pro users all over the world.